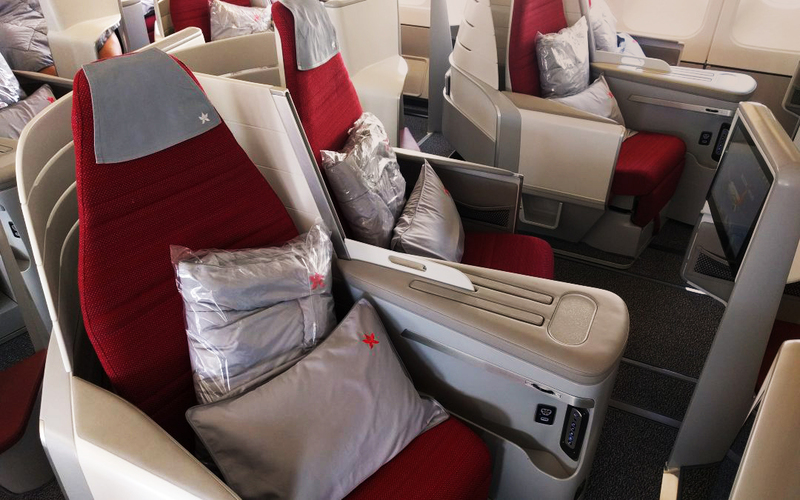 Optimares dresses in red for the new interiors dedicated to Hong Kong Airlines. After been clocked up a remarkable turnaround in punctuality in the last two years, HKA decides to provide a new attention to traveller experience. The company goes for a renovation of business class having our MAXIMA seat as superior choice, and an economy class fitted by our QUADRA seat. Read the Triplust review for further details on our Maxima experience here.